Like many of you, I watched the fight last Saturday night with great anticipation. All week long my gym was abuzz with predictions as to who would come out on top. Basically, the gym was pretty evenly divided with a slight majority leaning towards Lomachenko because of his age and size. Everyone had an opinion and almost every possible outcome must have been discussed …expect one…that one was unthinkable. So Saturday night as I watched the fight and I saw Rigondeaux fail to answer the bell for the seventh I was disheartened because the unthinkable had occurred. He quit. Sure, I could see he was losing badly. Sure, I understood he had little chance of turning things around…but quitting? His hand was too hurt to continue they said? I’ve been a boxing trainer for over two decades and I’ve seen dozens of boys fight through much-much worse on local club level shows. Secondly, I know the body language of a man in distress or a man who is seriously hurt and in my humble educated opinion Rigondeaux was neither hurt nor in serious physical distress. The fact is he quit. Since the fight I’ve been reading articles written by very knowledgeable folks trying to make logic of his decision to quit. Some of these folks make a very good argument in defending Rigondeaux for his choice but, unfortunately, I am not of the same mind. My gym is typical. We have a lot of young starving boxers hoping to get their chance. There are a number of accomplished true prospects at my place but like most other gyms, a large number (vast majority) of our kids simply will not make it. It’s the harsh reality of the sport. Yet all of these boys have the heart and that’s my point I guess. You can be forgiven for a lot of things in boxing. In fact, our sport is a place were we flawed and imperfect individuals can go to find redemption. The history of boxing is riddled with examples of every type and you need look no further than some of the champions today if you want to see men who found purpose and redemption in boxing. The thing is, the one common bond between all true fighters is that quitting is not an option. In fact it is the willingness to go on in the face of overwhelming opposition that is one of boxing’s most beloved and enduring qualities. This unwillingness to quit is what so many fans admire and what is so inspirational about boxing. Rigondeaux is an incredible talent but quitting, in the way he did, is the cardinal sin in boxing. Here is the truth of it all. Boxing is one place where the flawed and imperfect can go to be redeemed and it’s ironic in some ways that the one thing that all these flawed boys take pride in is that they did not/will not quit a fight. Not quitting is the real victory for many of these kids. 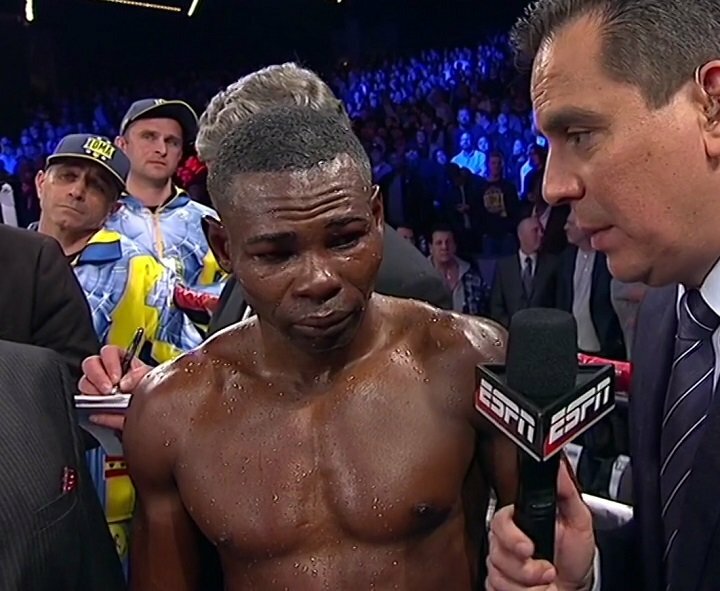 In boxing you can be many things…but unfortunately for Rigondeaux being a quitter is not one of them. In boxing you can be redeemed. I hope that Rigondeaux can find his redemption…in boxing! You are here: Home / Boxing News / You can be many things in boxing… but being a quitter is not one of them!